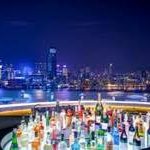 The Park Lane Hong Kong, a Pullman Hotel announces the opening of its 8,000 sq ft hotly-anticipateddestination roof bar and dining, SKYE roof bar and restaurant. Set in the eclectic and vibrant location of Causeway Bay, SKYE invites tastemakers and millennials to experience a multisensory experience where food, libations, music, and relaxation merge together against the backdrop of the breath-taking views of Victoria Park and Victoria Harbour. “Hong Kong is the culinary capital in Asia. The city has a sophisticated breed of well-travelled epicureans who have relished the best the world has to offer,” shared Mr Luc Bollen, General Manager of the Park Lane Hong Kong, a Pullman Hotel. A communal space for today’s global nomads, SKYE’s modern design adds to the wow factor of the Hotel, whose HK$300 million makeover saw the complete revamp of the roof space, dazzling the crowd with a modern look helmed by Design Worldwide Partnership(DWP). The resulting sleek look boasts an element of comfort, enhanced by the creative works of German street artist, KEF. SKYE collaborates with Asia’s most prominent music promoter to merge the warm, relaxing space with the cool of Deep House Musicand jazz. A nightly DJ provides stylised beats to set the mood of the experience. Featuring home-grown and visiting DJs who bring their unique tastes in music to the foreground, SKYE promises to impress guests with an ear for good beats. Helmed by Mr Bollen and Head Chef Lee Adams, the dynamic team at SKYE brings an impressive wealth of international food and beverage experience to the table, with years of working at Michelin-starred and critically acclaimed establishments including Caprice at Four Seasons and Joël Robuchon in London, Hong Kong, and Macau. Chef Adams brings Michelin-starred experience from his time at Gary Rhodes in the UK and Dubai, and The Waterside Inn in the UK. Guests can expect savouring one of a kind French contemporary cuisine that is a culmination of his cooking personality – playful, fun, and tasty. His creative use of freshest ingredients allow their flavours to shine, while incorporating flavour profiles from the East makes SKYE a destination dining experience second-to-none in Hong Kong. An a la carte and degustation menu created by Chef Adams features his signature dishes captivating diners with flavourful fresh ingredients, embodying the essence of SKYE and inspired by the Chef’s culinary favourites. Highlights include Heirloom Tomato Tartare, a melt-in-your-mouth Slow-poached Lobster, Caramelized Veal Sweetbreads, Caramelized Lavender Honey Breast of Barbarie Duck, and a delightful dessert of Pavé of 70%Guanaja Chocolate, served with Salted Popcorn Ice Cream, Popcorn Caramel and Peanut Gel. Guests are also invited to indulge in the specially curated cocktails created by Italian mixologist Valerio Politano in the stunning outdoorbar setting. Showcasing an innovative selection of 24 cocktails inspired by the varied and distinctive eclectic characteristics of Hong Kong, SKYE’s signature cocktails include Rocking Horse, Global B-ART-tender, Tai Hong, Sfumato and a range of special liquid nitrogen cocktails. Each of SKYE’s cocktails is prepared with creativity ensuring a visually stunning presentation of a well concocted libation, blended with rare artisanal and boutique spirits. A special snack menu is also designed to be paired with the cocktails, ranging from Western-inspired favourites such as Plate of Oysters and Duck Confit Croquettes, to Eastern tastes including Cantonese Chicken Wings and Szechuan Infused Black Angus Skewers. SKYE’s extensive wine list features celebrated labels such as Asara Estate Avalon from South Africa. Seats 165 people, SKYE includes the main dining room, three private rooms and the temperature-controlled outdoor terrace dominated with an illuminating oblong bar mesmerizing views of Victoria Harbour and Victoria Park. SKYE is opened from Monday to Friday, 12:00 noon to 2:30 pm; and from Monday to Sunday, 6:30 pm to 10:30 pm. Brunch is available on the weekend and Public Holiday, from 11:30 am to 3:00 pm. Roof bar is opened from Sunday to Thursday, 12:00 noon to 12:00 am;Friday to Saturday, from 12:00 noon to 2:00 am. It is located on 27/F, The Park Lane Hong Kong, a Pullman Hotel – 310 Gloucester Road, Causeway Bay, Hong Kong. 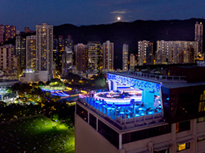 For guest enquiries, please call (852) 2839 3327, or email skye@parklane.com.hk. 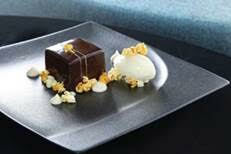 For more information, please visitwww.parklane.com.hk/skye.html or follow Facebook : @skyehongkong for latest updates.